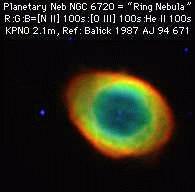 Bruce Balick's images of Messier's Planetary Nebulae. 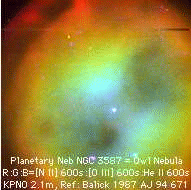 As indicated in the image engravation, these pictures were obtained with the Kitt Peak 2.1-meter telescope. As is, they may be used for educational non-profit purpose. 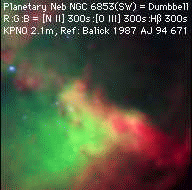 For any other intended use, please contact Bruce Balick (balick at astro.washington.edu). 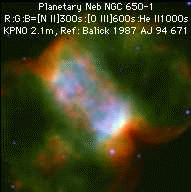 There are more of Bruce Balick's planetary nebula images collected at SEDS, maintained by Bill Arnett.